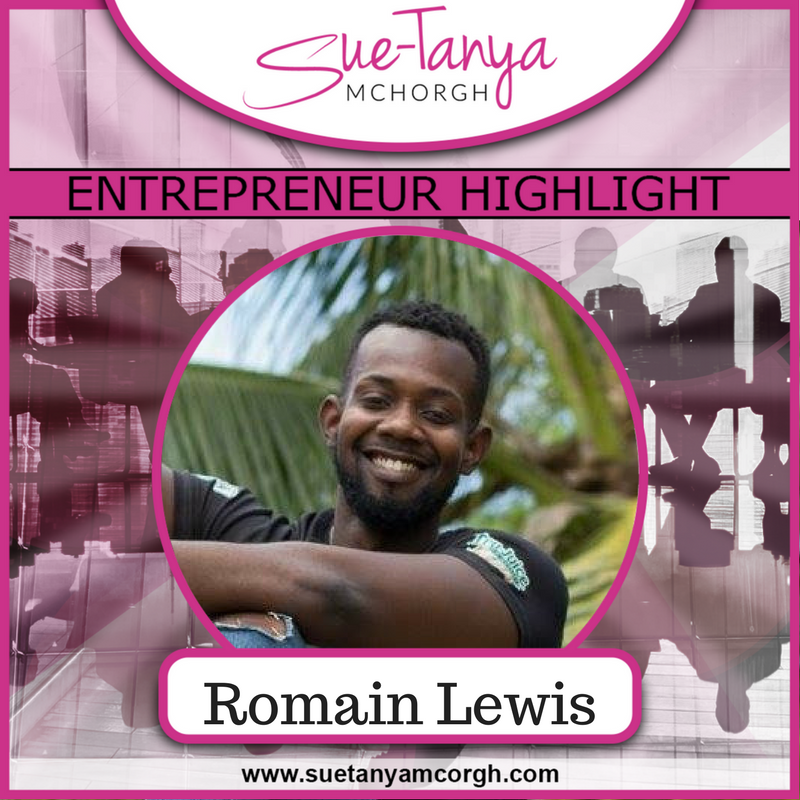 Romain: My name is Romain Lewis and I am the director of the lifestyle and fitness clothing brand Swolemate Apparel. When I am not busy trying to groom my brand, you can find me teaching Information Technology at Liberty Academy High School, or assisting the Jamaica Amateur Bodybuilding and Fitness Association (JABBFA) to make decisions as the 2nd Vice President. I am a country boy at heart, born and raised in St Thomas where I attended Morant Bay High before moving to Kingston to attend The Mico University College. Romain: Swolemate Apparel (SMA) started in 2015 and came about for two main reasons. The first being my desire to purchase dedicated fitness apparel as my personal fitness journey was just getting started, and being unable to find the type of clothes I wanted. Never a fan of online shopping, I searched Instragram for local brands, until I found one that had two single gym tees. After purchasing both designs I became curious as to how one goes about creating designs and having them printed on tops. While this curiosity was budding, I developed interest in the young lady who would go on to inspire the name of the brand. Between my desire for dedicated gym wear and my desire to win over my now life partner and business partner Ms Camille Simms, Swolemate Apparel came into existence. A Swolemate is your gym partner as well as your significant other so it severed as a fitting name in my attempts to win over Camille. Romain: Promotion is done primarily through Instragram, Facebook and word of mouth. Of course the occasional Tv, magazine and even a feature in the 2018 Yello Pages doesn’t hurt lol. Romain: We can be contacted via our Instagram page @swolemate_apparel, on facebook @SwolemateApparel, our email sma.apparel@gmail.com or by contacting myself or Camille via cell 290-8321 or 479-2771 respectively. Romain: We have a few projects coming up. Rounding up this year we have a few collaboration shoots with local gyms and athletes as well as a competition on Instagram between ourselves and Lasco idrade. For 2018 we plan to branch out into the international market and sign a few brand ambassadors in different countries. Romain: I believe mastery is our greatest asset. Mastery of anything especially yourself lends itself to a greater possibility of creating and maintaining happiness. Romain: Success can only come once you appreciate the arts of discipline, patience and in a lot of cases not taking life too seriously. Caring too much about the fleeting opinions of others has killed many a great dream. Romain: Recognizing that at the time dedicated bodybuilding attire was not readily available, and also to win over my now Swolemate Camille. Romain: I live on Youtube and Instragram. Youtube serves as medium for entertainment and education. I consume a lot of information related to technology, cars, fitness, business, philosophy, psychology and random information. Instragram for me is 20% entertainment and 80% business, if not for my brand I might not be on there since it can be so addictive. I don’t watch cable so Youtube does the trick. I can’t say I religiously follow any website or blog.